Cut thick or thin slices of your favorite homemade loaves of bread with the Pure Komachi 2 8-inch Bread Knife. The high-carbon stainless steel blade is coated to create a slick surface that is easy to clean and sanitize and also resists corrosion. 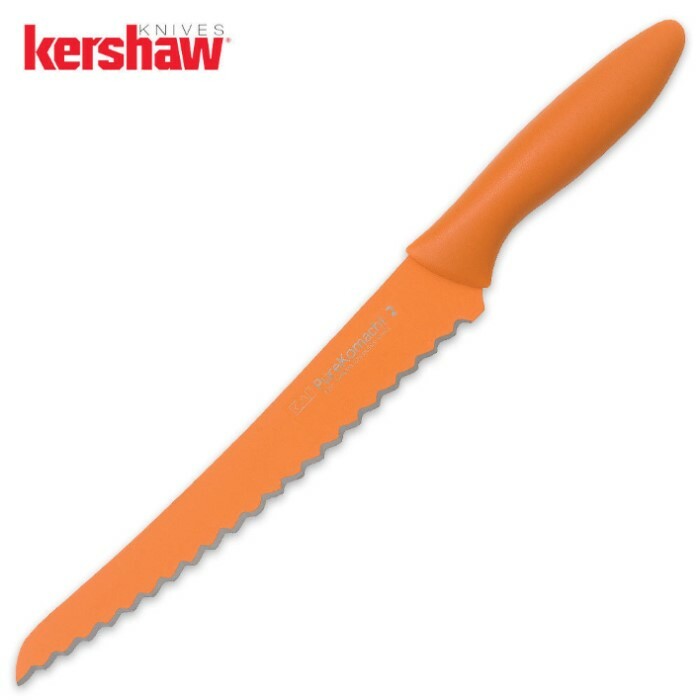 The edge of the blade is extremely sharp and serrated for cutting through the crust of breads. The long orange colored blade is held by a lightweight, contoured handle that provides control and balance when cutting. 8 in. blade.